The Enzo Rug Collection has been created to offer a combination of the most natural materials and genuine original style. Available in a choice of colours this rug has been designed to provide a practical function in your home as well as add colour and interest. Each Enzo Rug has been hand woven in India and is a combination of 70% wool, 23% viscose and 7% cotton. A felted wool, cotton backed flat weave with a stylish loop pile texture characterises the Enzo rug and it can be enjoyed in a choice of colourways to coordinate with your home. 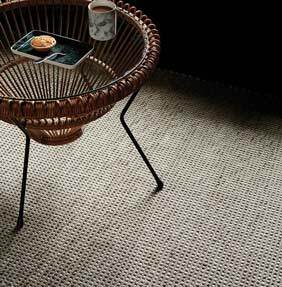 It combines genuine functionality with classic style and is one of many flatweave pieces in the Natural Weaves Collection by Asiatic Carpets.